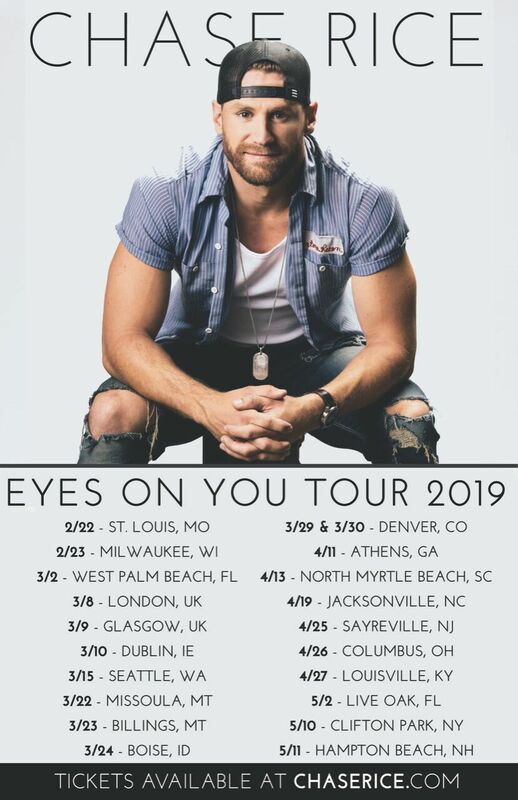 Chase Rice‘s Eyes On You Tour will extend into 2019 with 21 additional dates across the U.S. and Canada. The second leg begins Friday, Feb. 22 in St. Louis, Missouri and continues through Saturday, May 11 in Hampton Beach, New Hampshire. Tickets can be purchased on Rice’s official website.